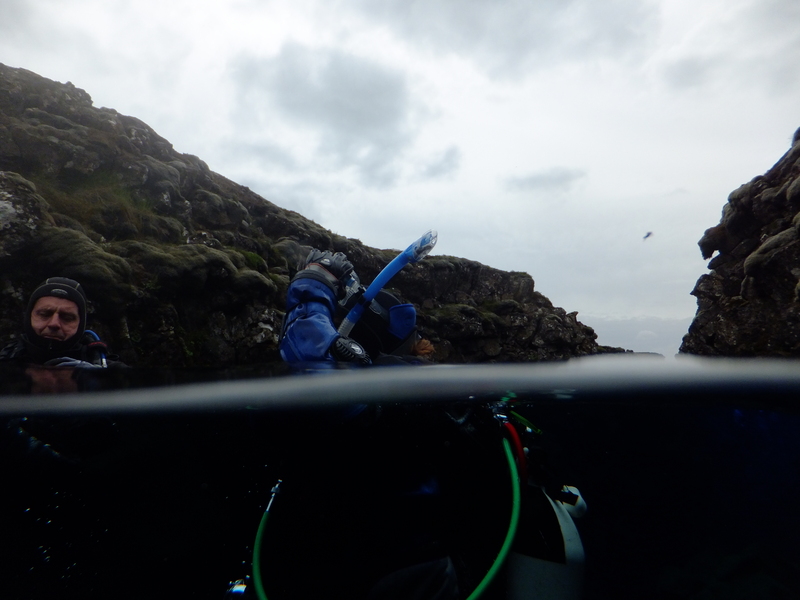 After the first dive my wife being the sensible woman she is decided to get out of her diving kit and get warm me on the other hand could not help but go back in, this is the second dive. 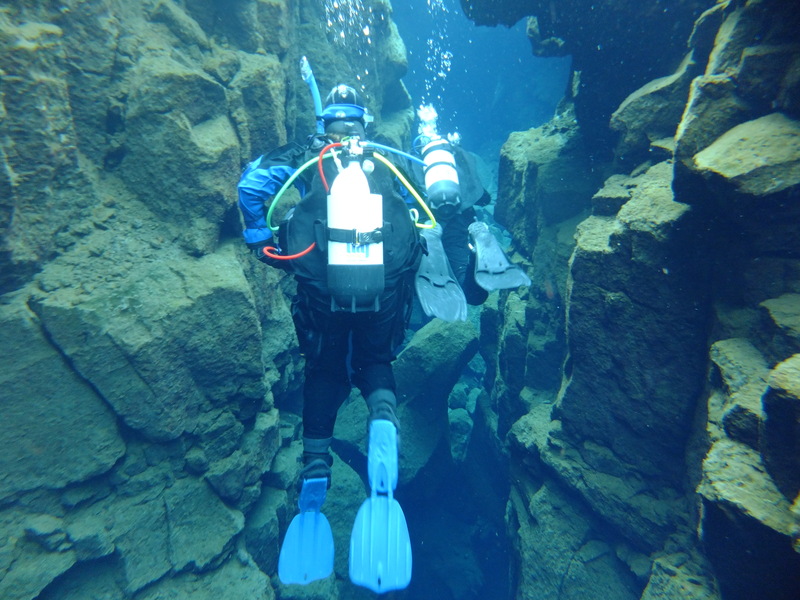 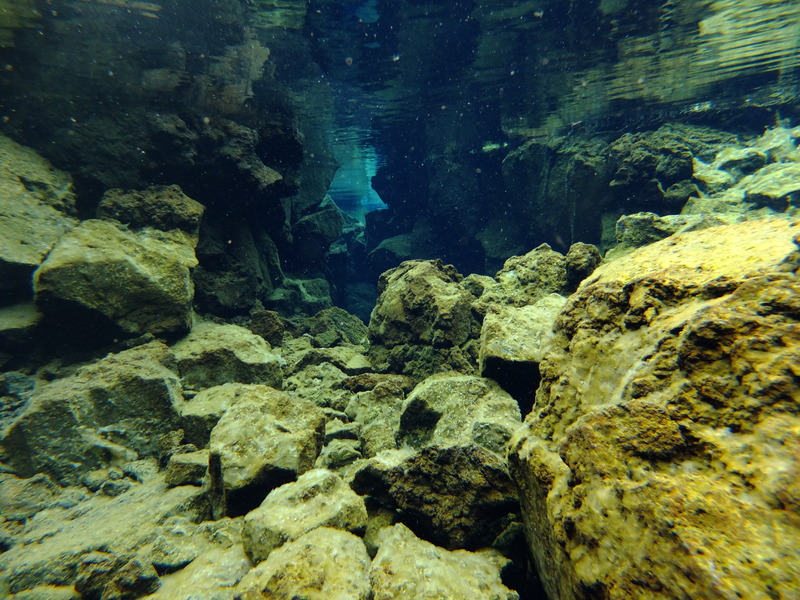 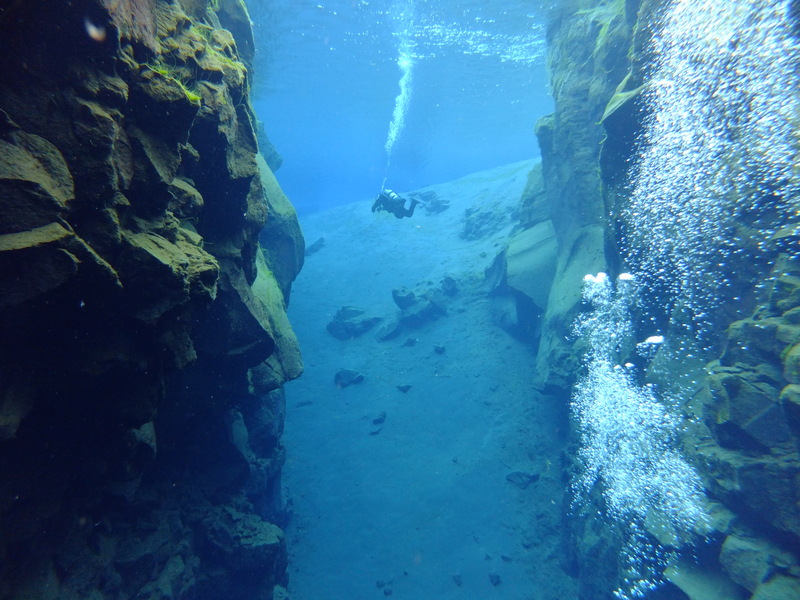 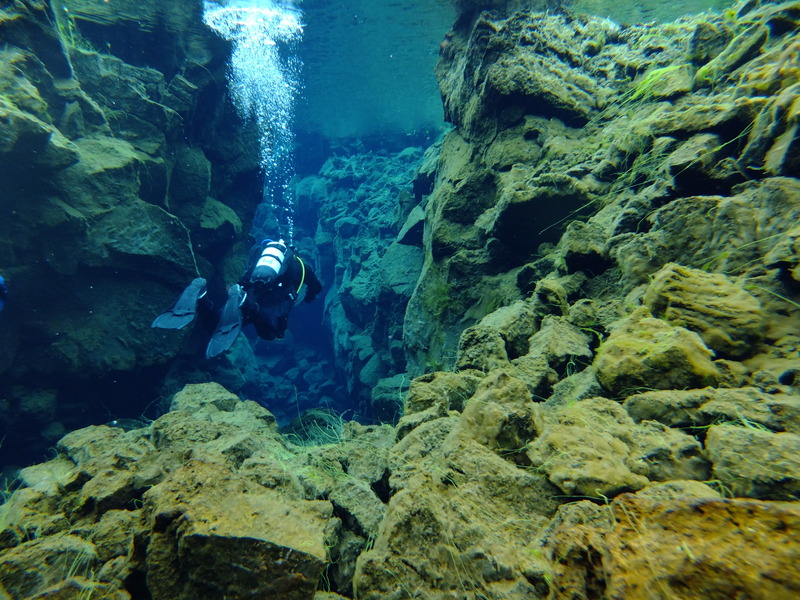 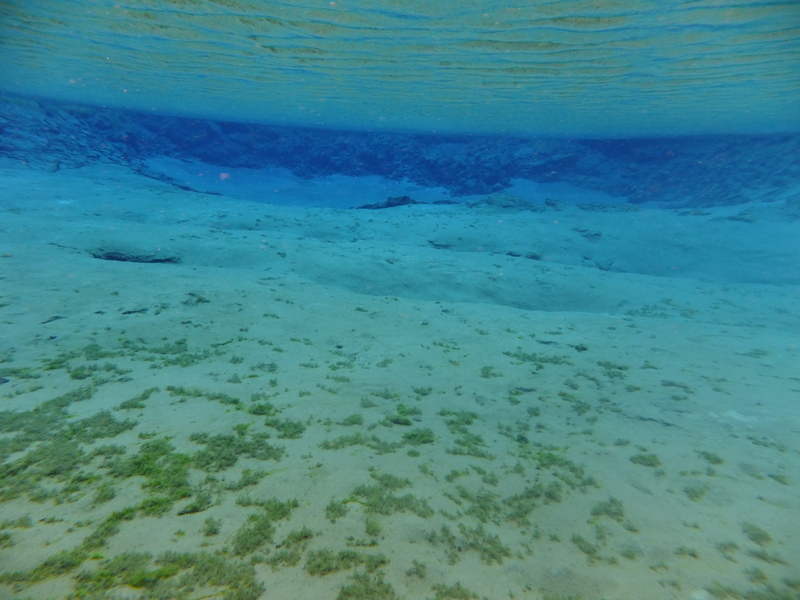 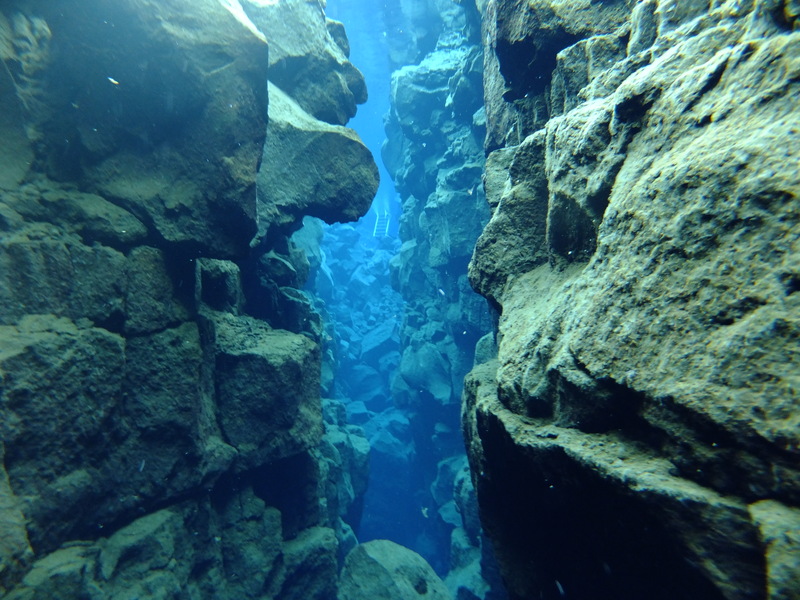 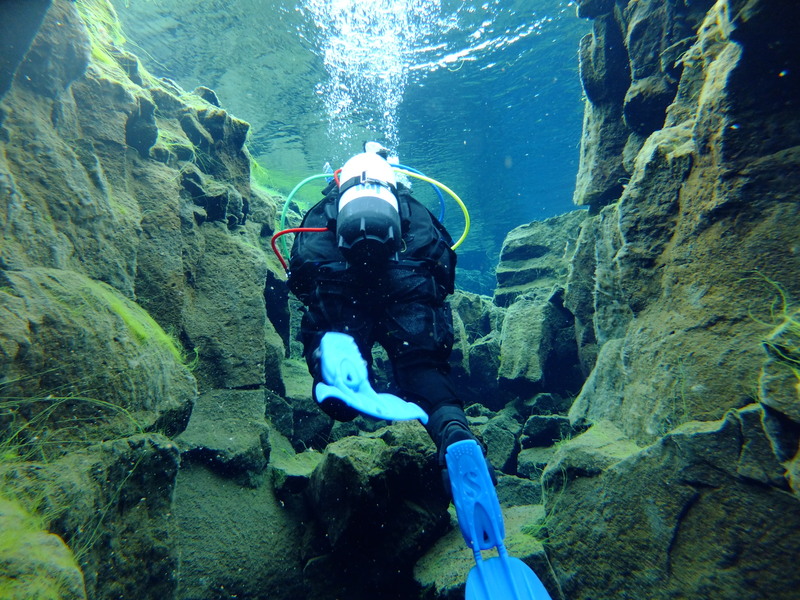 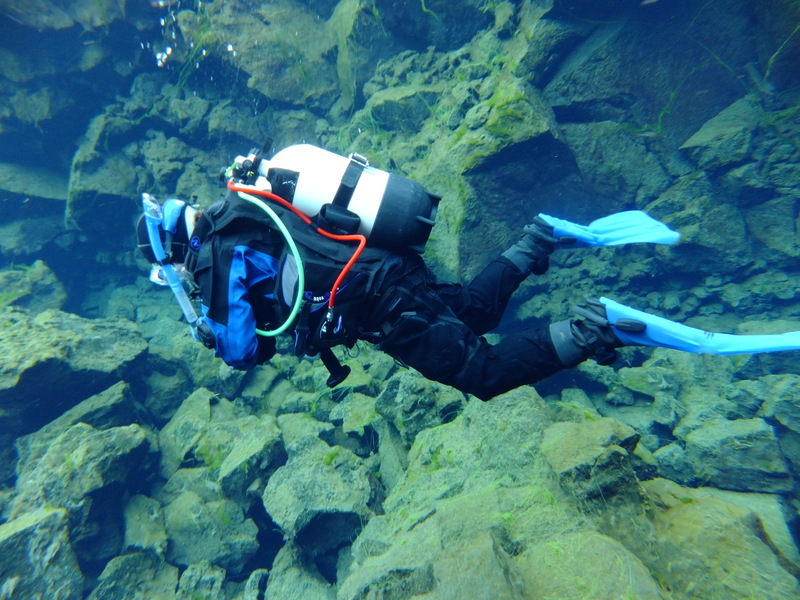 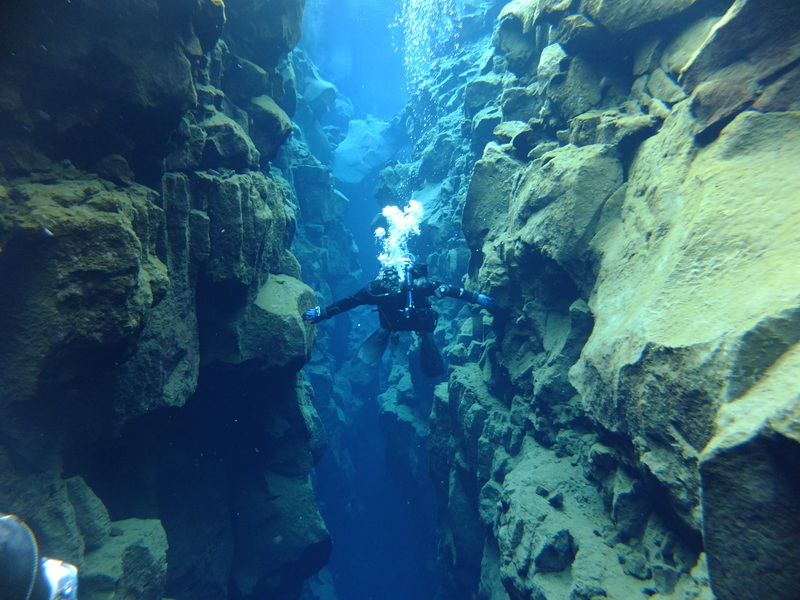 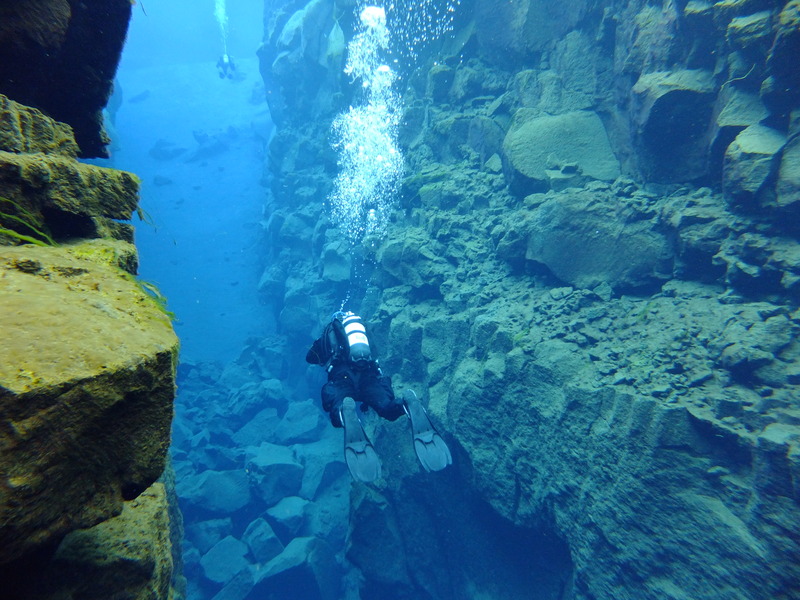 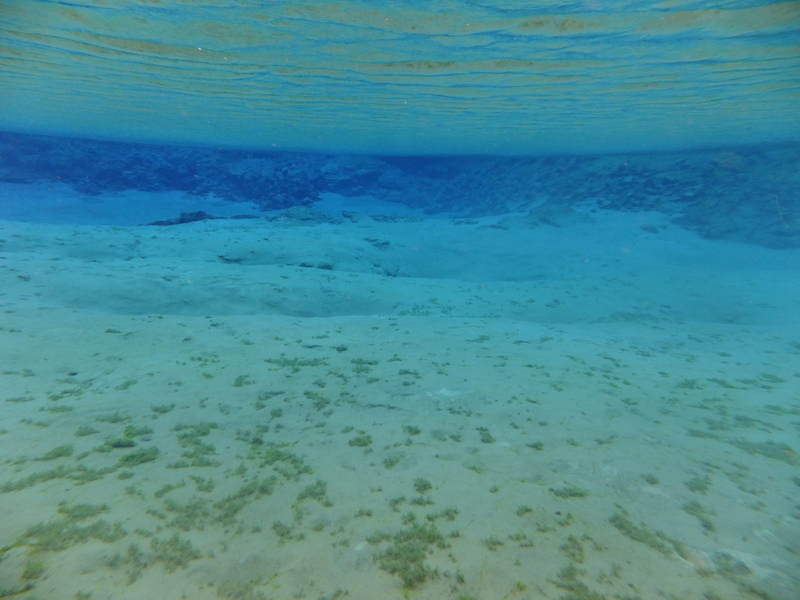 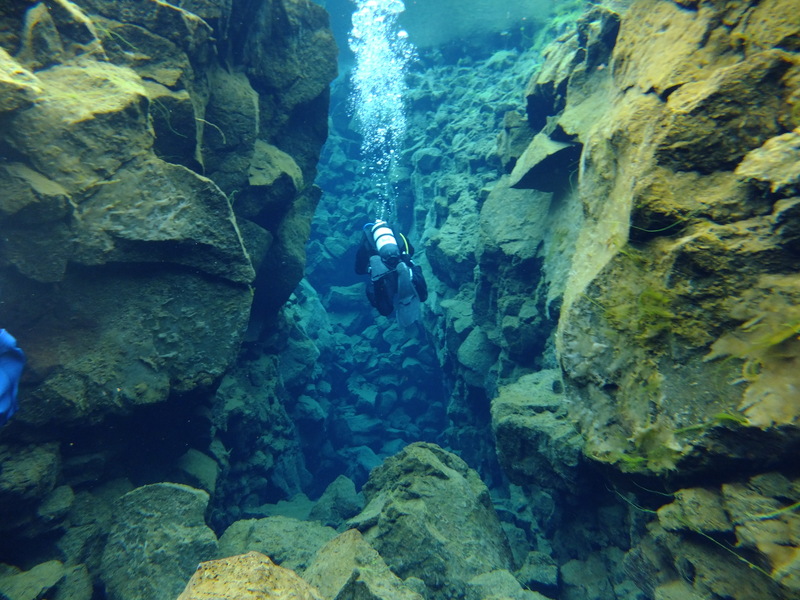 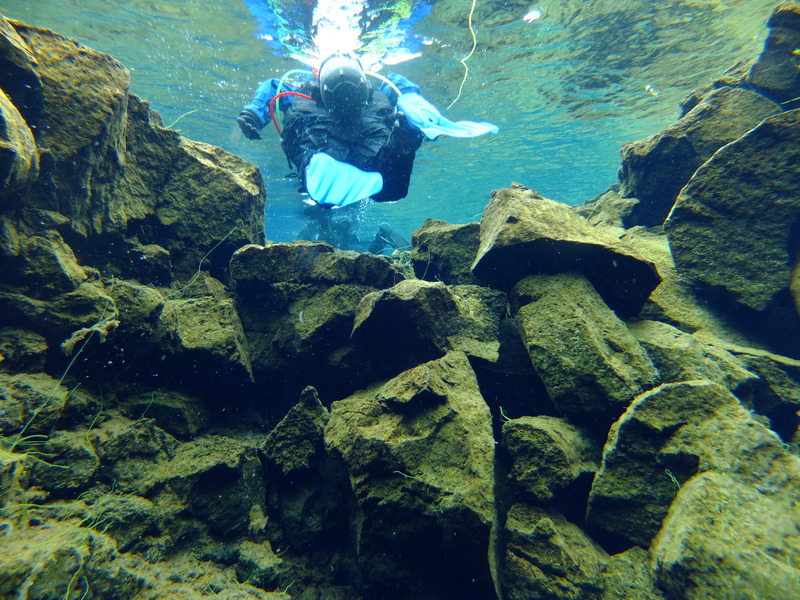 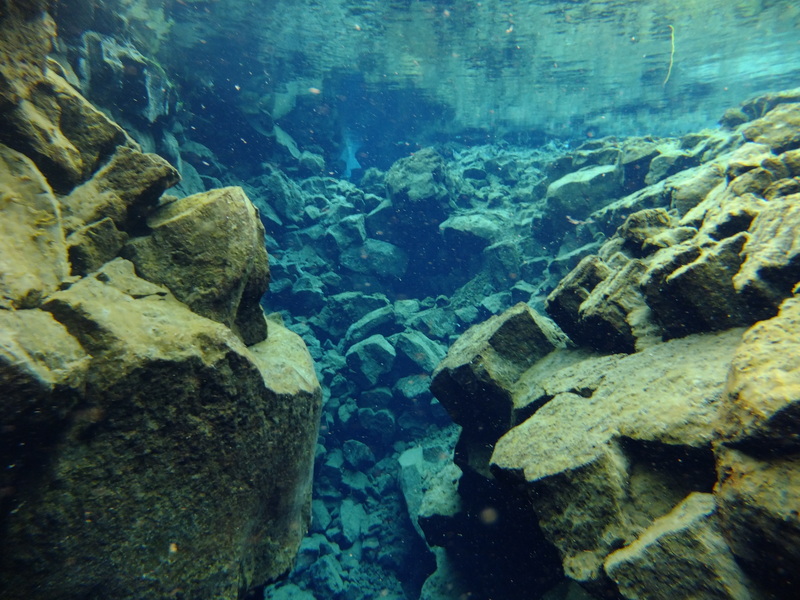 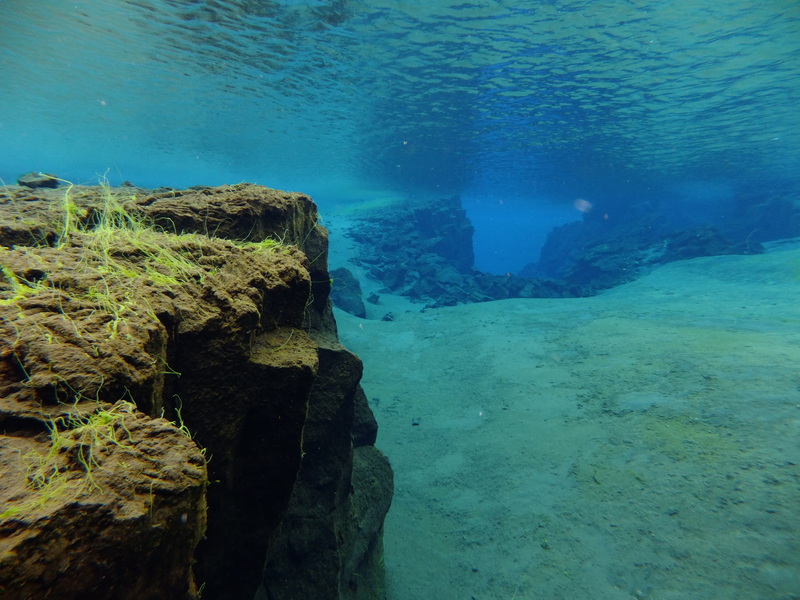 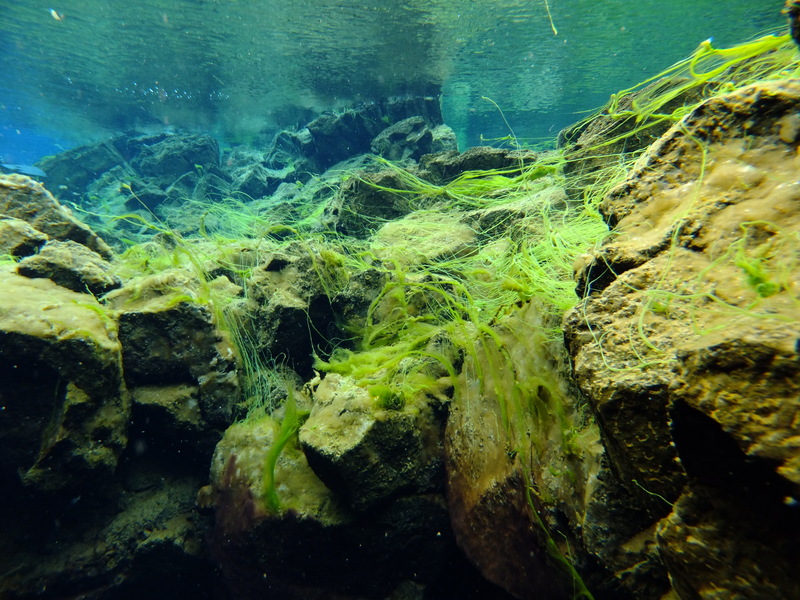 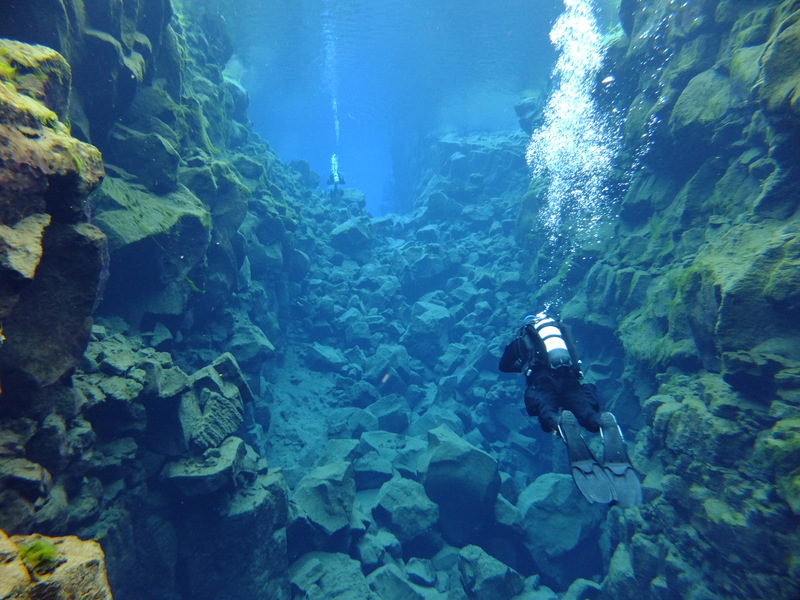 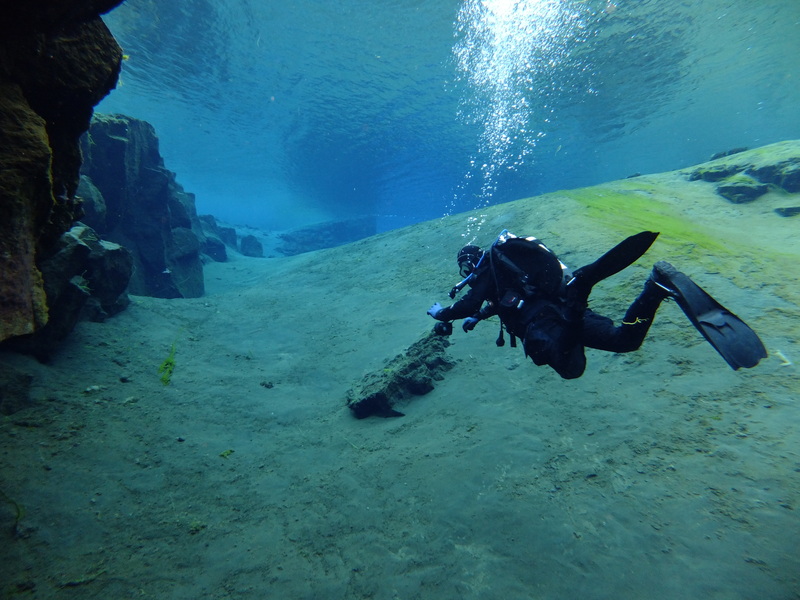 We where able to dive the Silfra fissure crack between the North American and Eurasian continents where the continental plates meet, one truly unique place. 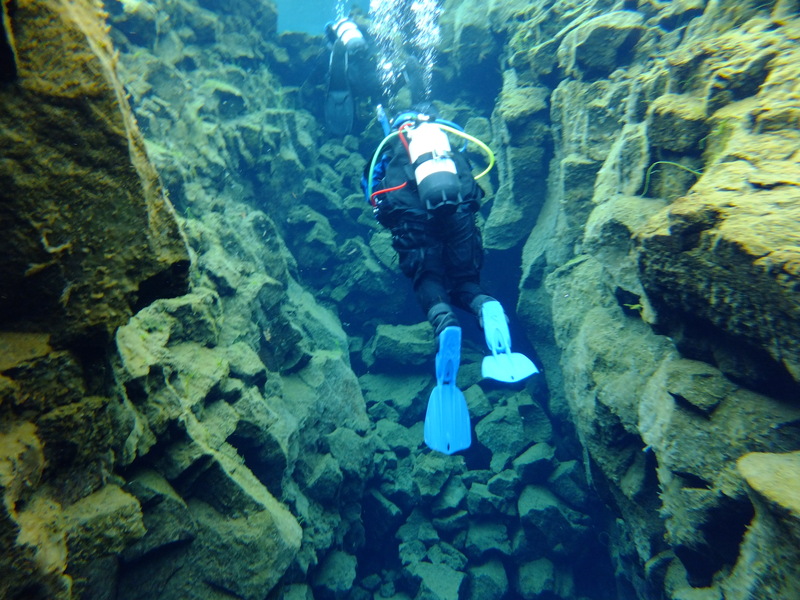 We where guided by Dave from http://magmadive.is a guide that I could not recommend highly enough so if you are looking to go over then look them up. 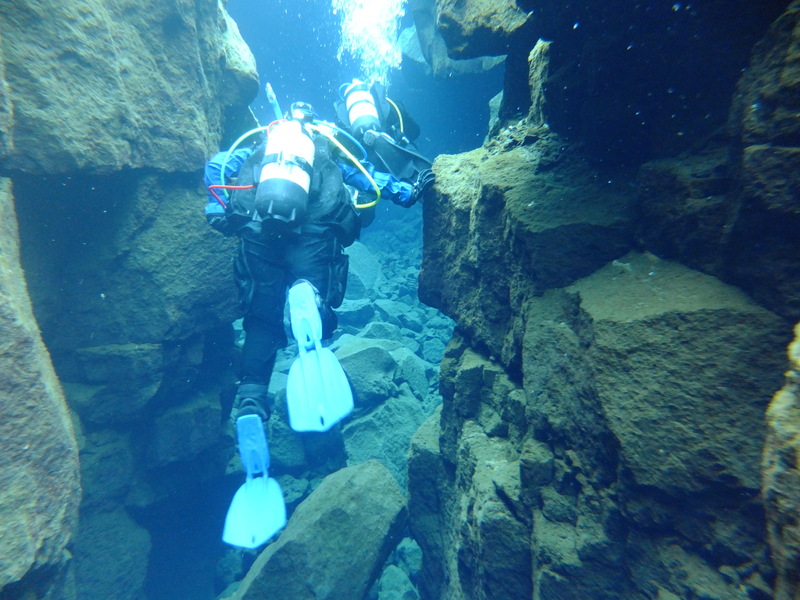 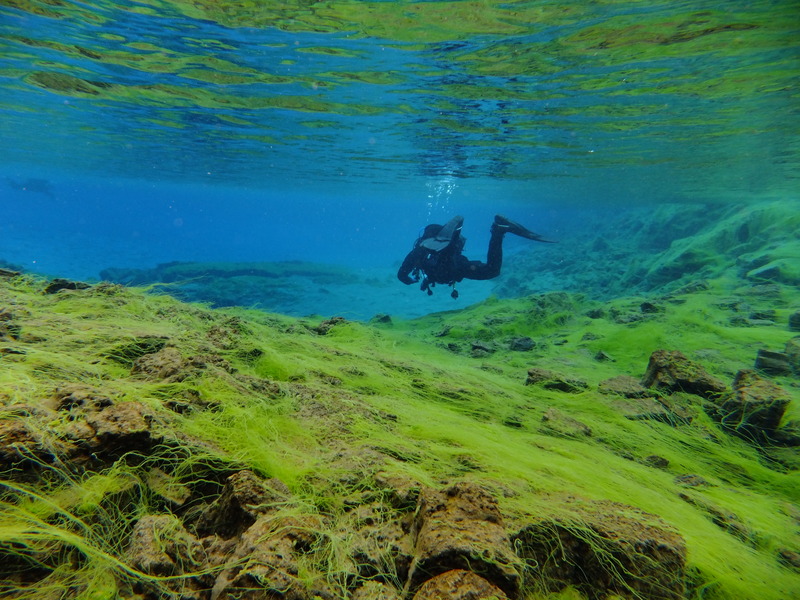 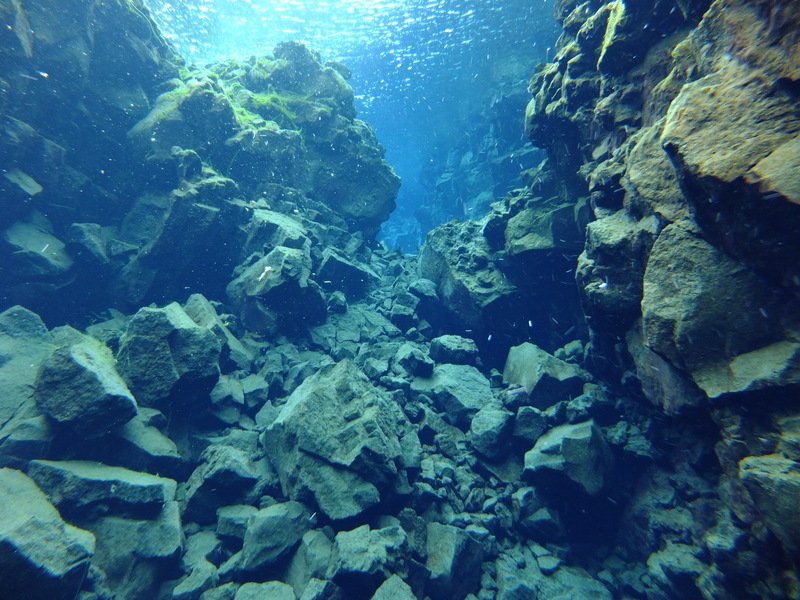 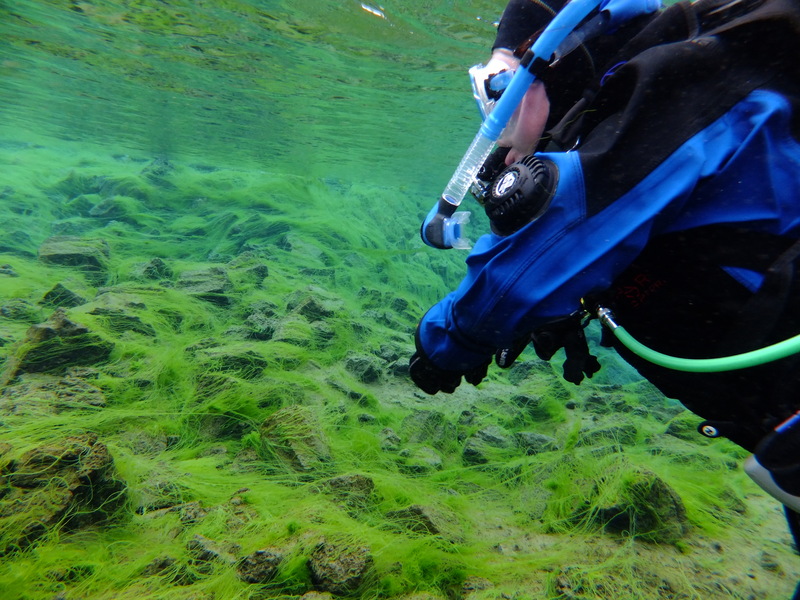 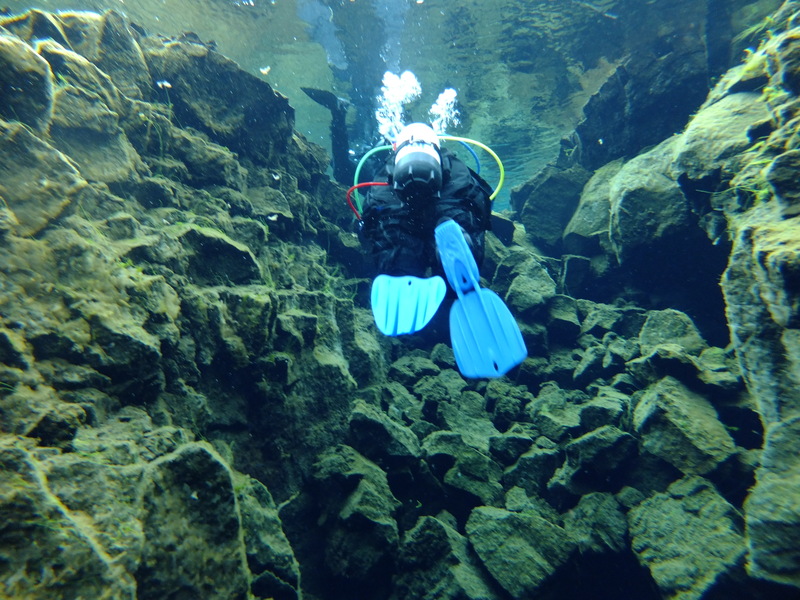 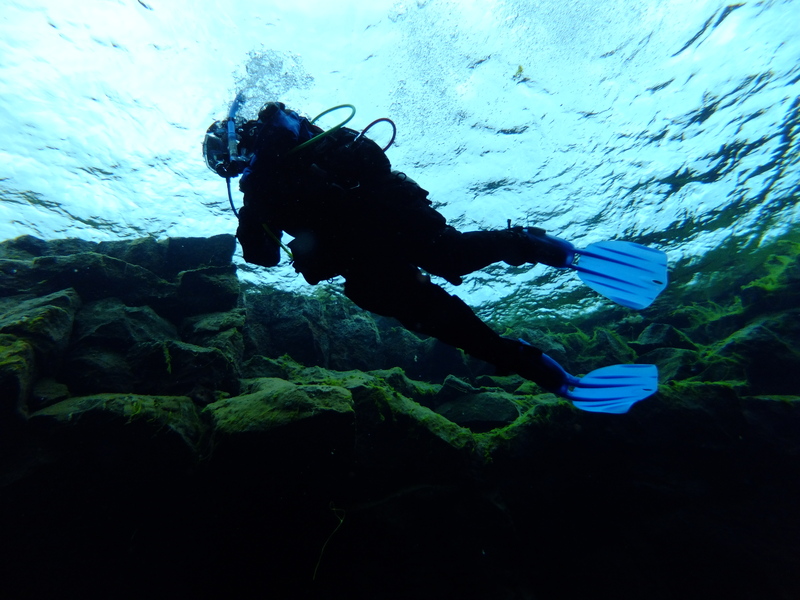 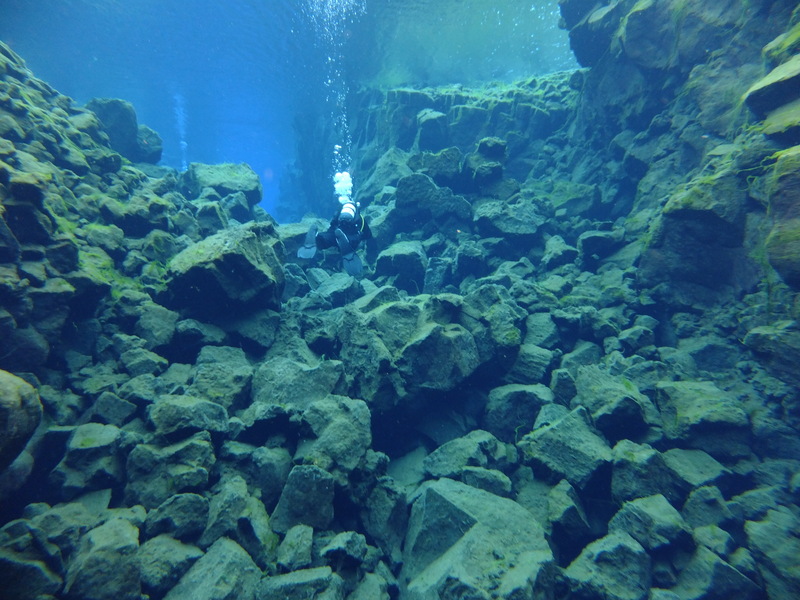 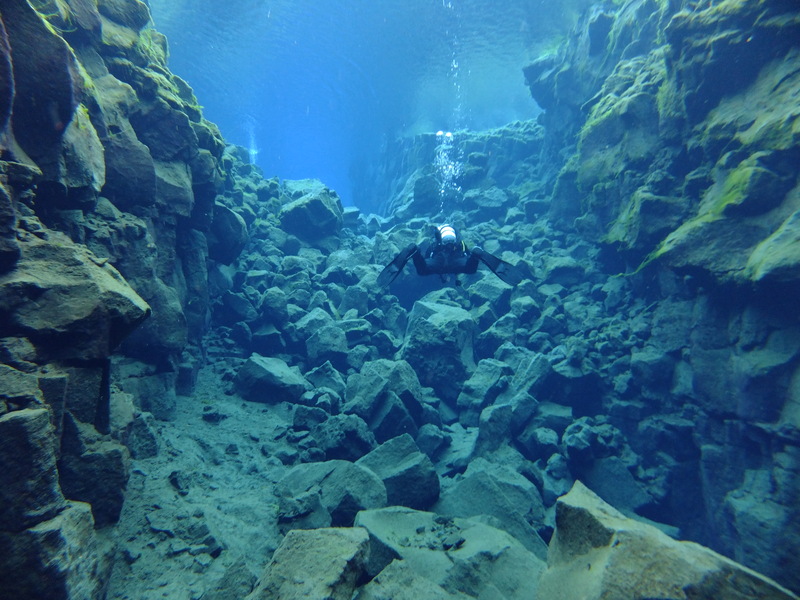 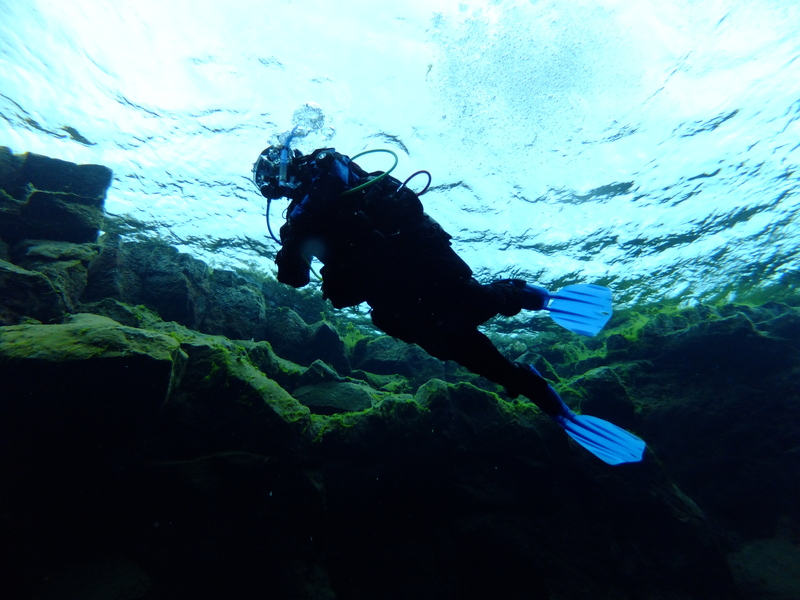 I had the absolute pleasure of diving on my wedding anniversary with my wife in Iceland this weekend.